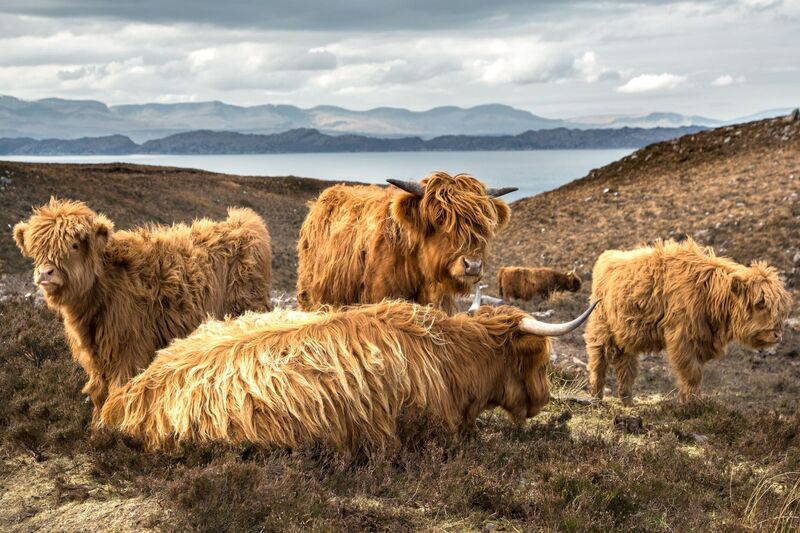 I was on my way to Applecross near Torridon when this family of Highland Cows blocked the road. They were very reluctant to move but did so begrudgingly. They soon settled down by the side of the road again and continued to eat and look cute.